The Henry de Bromhead-trained Monalee will ramp up his preparations for the Cheltenham Festival when taking on three high class rivals in the Grade 2 RED MILLS Chase at Gowran Park on Saturday. Grade 1 winner Monalee was last seen when chasing home Kemboy in the Savills Chase at Leopardstown at Christmas and the eight-year-old was this week left in both the Magners Gold Cup and the Ryanair Chase at the Cheltenham Festival. De Bromhead is aiming to win the RED MILLS Chase for a second time having been previously successful with Smashing in 2016. 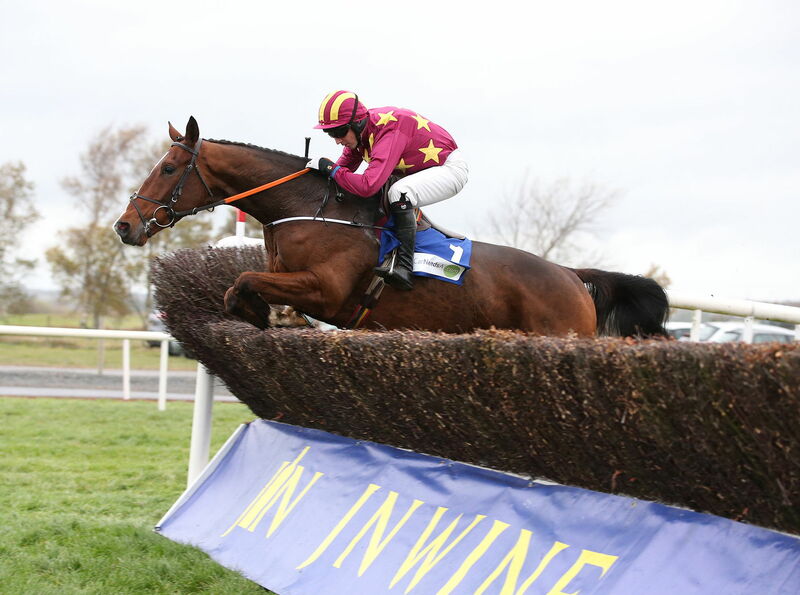 “We need to get a run in to Monalee and the Red Mills Chase looks like a good opportunity to do that,” de Bromhead said. “I’m not sure what the race will tell us in regards to future plans but I hope the trip on Saturday should be ideal for him. We didn’t run him at Leopardstown because of the ground but thankfully we’ve had a bit more rain down the country and the ground at Gowran Park should be fine. Killultagh Vic, one of three Grade 1 winners in the race, will represent champion trainer Willie Mullins at his local track, while 2018 Irish Gold Cup winner Edwulf and the Tony Martin-trained Anibale Fly complete the line up. 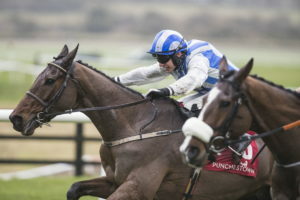 “We have run him twice over hurdles this season and he had a very good run in the Galmoy Hurdle at Gowran Park last month. 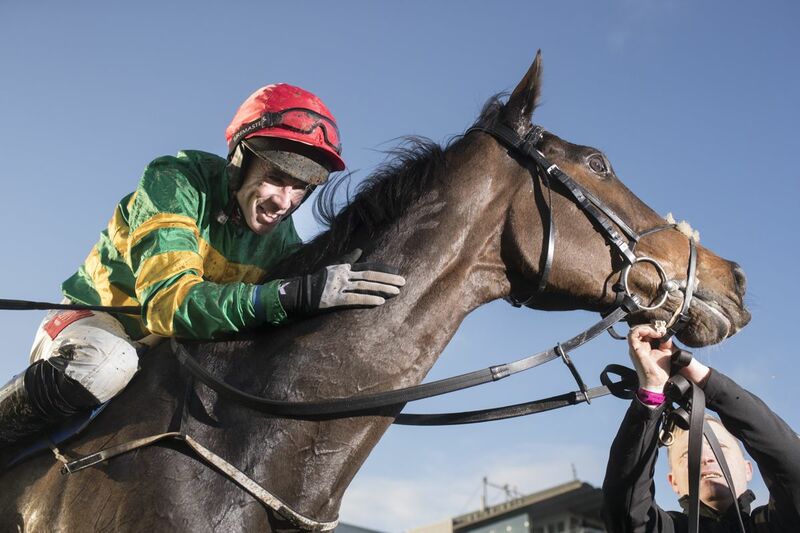 Edwulf provided one of the most memorable moments of last season when he completed a miraculous comeback to win the Irish Gold Cup at Leopardstown for trainer Joseph O’Brien and owner JP McManus. Regular rider Derek O’Connor will once again partner the 10-year-old. “Edwulf takes his chance on Saturday with the ground appearing suitable for him,” O’Brien said. The famous McManus silks will also be carried in the Red Mills Chase by Anibale Fly who has been declared by trainer Tony Martin to make just his second start of the season. Last year’s Gold Cup third is being aimed at a return to the Cheltenham Festival next month. Speaking earlier this week, Martin said: “It’s important to get a run into him before Cheltenham and we were running out of options. Last year’s winner Forge Meadow heads a field of seven for the Grade 3 RED MILLS Trial Hurdle. 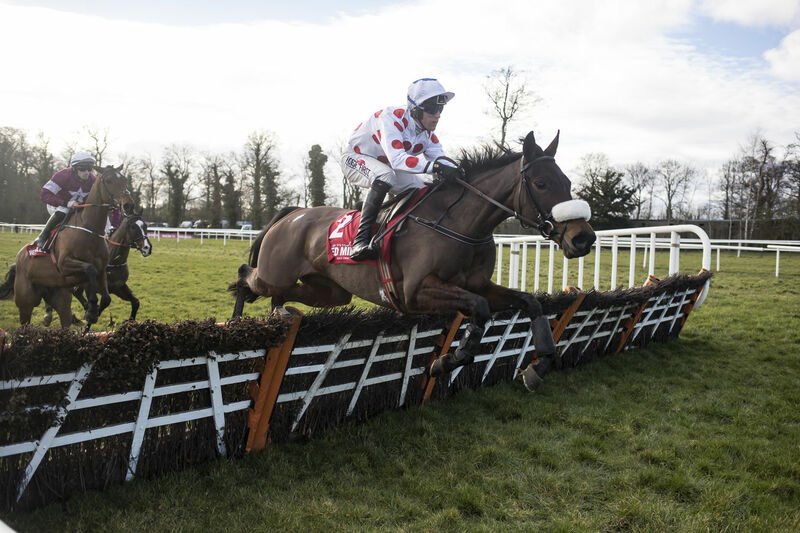 Gordon Elliott has declared Triumph Hurdle winner Farclas and this current promising juvenile hurdler Coeur Sublime, while Colin Kidd’s stable star Rashaan will return to hurdles for the €60,000 contest.